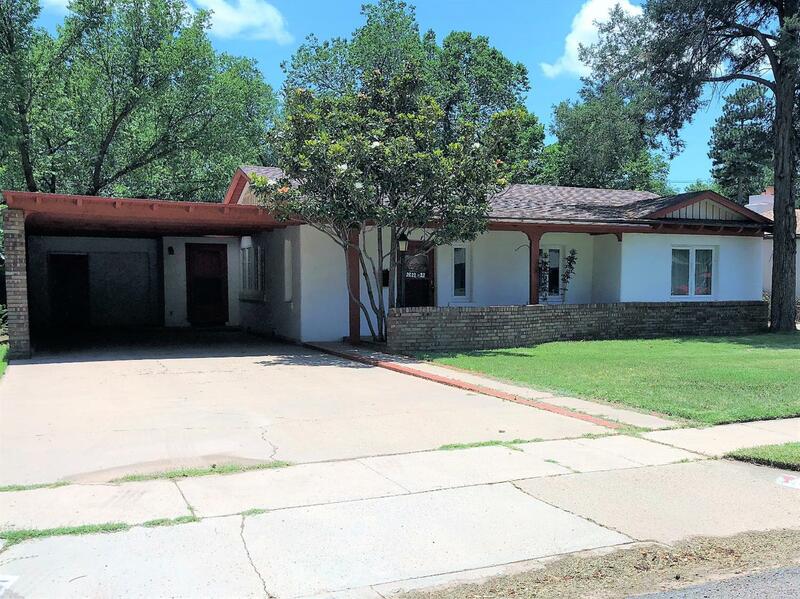 Are you looking fora Beautiful Home in The Historic Tech Terrance Neighborhood, you have found it! Perfectly situated within a 10 minute walk from Texas Tech University, and minutes from medical center. Outside exterior consist of brick and stucco, making it naturally energy efficient. One to see to truly appreciate. Interior, boasts two large living areas, with centralized kitchen. Enormous master suite with walk through closet. The true center piece of this home is the newly remodeled basement.... new walls, new paint, new vinyl planking throughout, even hosts a full bathroom with standup shower. Perfect for a common area or entertaining, possible to make it an extra bedroom. Oversized utility room, plenty of room for storage. Last but not least the backyard pulls it all together, mature trees give this backyard the perfect shade for those summer time get togethers. Looking at all offers, so please bring them!